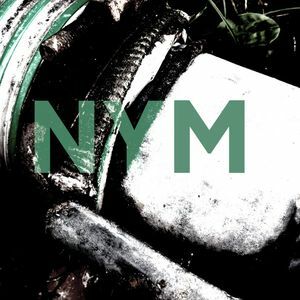 Mystery artist NYM´s Untitled contribution to Attenuation Circuit´s small-run artisan CDR series is pretty aptly characterized as Thomas Köner mixing Lustmord, though I might object that more of a tale is being told than the celebrated but stoic sound colorists would choose. It is a truly massive half hour, ataxic rather than glacial in movement, strife-riven, suns sputtering flares and collapsing into white dwarves in the place where the black stars hang (it is hard to disengage from the comparison once it´s been planted in your head). Dark ambient as unambiguous as a man´s ruin tattoo. Creating one more ritual of a total 95 RITUALS (for Anna Halperin) with Dana and Shinichi Iova-Koga, Yuko Kaseki, Sten Rudstrøm, Heekyung Cho, Crow Nishimura and Dohee Lee in musical collaboration with Joshua Kohl on benches by Dan Gottwald. The members of Gestaltish are offering a FREE improvisation workshop the evening before, June 26, 2015 to demystify self-idiomatic music exploration and encourage musicians and educators to experiment with sound in their own new ways. Barb Golden’s solo show NOT DEAD YET, at the EastBay Media Center, 1939 Addison St., Berkeley. with SPLENDOR GENERATOR (Bill Thibault, original video projections, Antimatter and Tim Perkis, electronic sound), and cellists Theresa Wong and Carla Fabrizio. Poetry, songs, instrumental compositions by Barb. Blurring lines between composition and sound installation, this evening features works created by and written for Composer/Sound Artist Matthew Goodheart. With bassist George Cremaschi. MINIATURES is a short work for three dancers, a series of small dances on the theme of relationships with spoken text from Shakespeare’s tragedies and comedies and music scored live by two different saxophonists, Joshua Marshall (June 29 & 30) and Aram Shelton (July 25). Choreography by Megan and Shannon Kurashige. Dancers: Rachel Laws, Chelsea Reichert, Jane Selna. Eye-Full Films and REEL CHANGE @ the Nunnery. Films by David Michalak plus music for experimental films by REEL CHANGE. Multi-faceted clarinetist/composer James Falzone is an acclaimed member of Chicago’s jazz and creative improvised music scene. His Renga Ensemble draws draws together some of the most diverse and adventurous clarinet and saxophone players working in jazz and improvised music today, including the Bay Area’s own Ben Goldberg. This special West Coast edition will involve an all-star local cast including Goldberg and sfSound’s Matt Ingalls. From Jazz Right Now a preview of a new series of creating music debuting next week in Brooklyn.